This is due to essential maintenance works. We apologise in advance for any inconvenience. If you have any queries please do not hesitate to contact the Customer Services Desk. 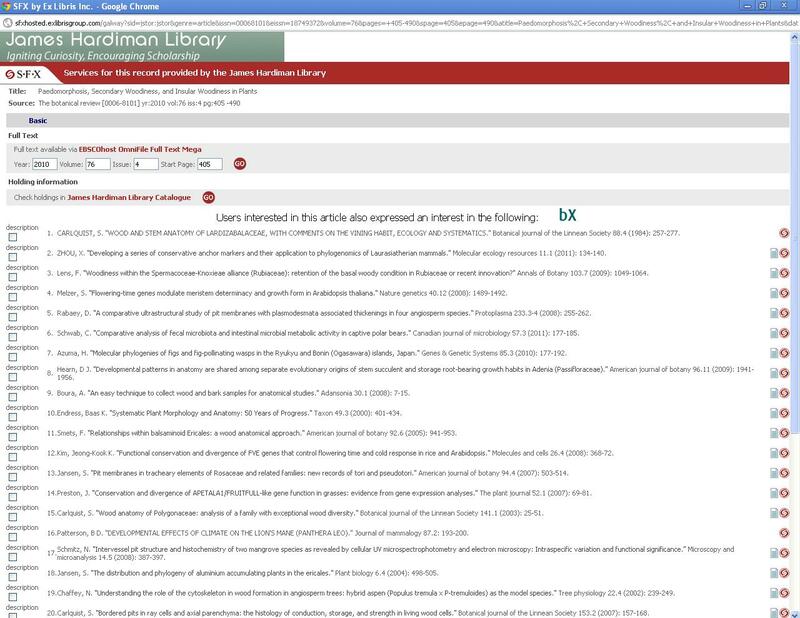 bX, a relatively new product acquired by the Library, is a remarkable scholarly article discovery service, recommending alternative or companion scholarly articles when using the SFX feature of a database, based on article usage- a bit like "Recommendations for You" within Amazon. Within SFX it uses the article you've just found to recommend 20 new articles that other users were also interested in. Have you used this feature? Let us know what you think of it in the comments section below. If you are working or studying from off-campus during the summer, you may wish to search for what e-books or e-journals the library has available. The following steps will lead you to e-books on your chosen topic. Remember you must Sign In for off-campus access to e-books or e-journals to work!! Step 1: Sign in, so as to ensure you're recognised as an NUI Galway user, even off campus. Step 2: Carry out your search - simply enter the author, title or subject keyword that you are interested in. Step 3: Click on 'Show Only Online Resources', which appears just above your result list. This will limit the results to items that match your search criteria and are available online. Any hardcopy printed books or journals will be omitted. Step 4: If you are only interested in e-books you can now use the Refine my Results functionality on the right hand side of the screen to narrow your results down to books only. Simply click on the word 'Books' under 'Resource Type'. You can do the same for e-journals, by choosing 'journals' from the Resource Type list. 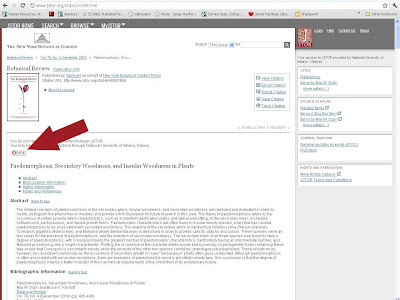 Introduction to Mendeley open source bibliographic management software for researchers. From approximately Monday the 9th of July the 0-320.8 section will be closed off for two weeks (with library staff access for the second week). Open Access in the News. The finer details of 3rd level education policy and spending don't often make news in the main stream media, however when the Harvard University Faculty Advisory Council issued a memo to all faculty stating that journal subscription costs were " fiscally unsustainable and academically restrictive" several articles appeared in the press including stories in The Guardian, The Atlantic and Time Magazine . The Harvard memo has drawn attention to academic journal subscription costs and one of the academic community's responses to these costs: Open access publishing . "Open-access (OA) literature is digital, online, free of charge, and free of most copyright and licensing restrictions. What makes it possible is the internet and the consent of the author or copyright-holder." The library at NUI Galway helps facilitate open access publishing through our institutional repository ARAN. Many funders including Science Foundation Ireland have introduced open access mandates. The Library at NUI Galway continues to provide access to subscription journals, negotiating the best deal possible, in many cases via IReL. However, as commercial journal publishers continue to seek subscription price increases and our budgets decrease or at best remain static, it will become increasingly difficult to provide access to expensive scholarly journals. 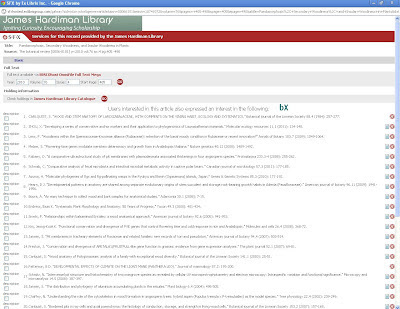 The library therefore strongly supports open access publishing initiatives. The Harvard memo concludes that "major periodical subscriptions, especially to electronic journals published by historically key providers, cannot be sustained: continuing these subscriptions on their current footing is financially untenable" and puts forward a number of alternative options including making papers accessible by submitting them to Harvard's institutional repository (DASH), and submitting articles to open-access journals. What does this does the Harvard memo mean for NUI Galway researchers? Well in theory if you want Harvard faculty to be able read your articles you must make them available on open access. More generally in the current funding environment rising subscription costs are leading to reduced access to subscription journals, Harvard's decision to cancel subscriptions is simply a high profile manifestation of this trend. NUI Galway researchers can now submit articles to Aran at the click of a button through ARAN's integration with the research office's research information system IRIS. (Full instructions). Open Access has become a very hot topic in recent months. Because of that, and obligations in SFI and IRCSET open access policies, I started looking at the ARAN repository. Because of the IRIS/ARAN integration, it was a lot easier to deposit there than I expected.